"What Does a House Want? 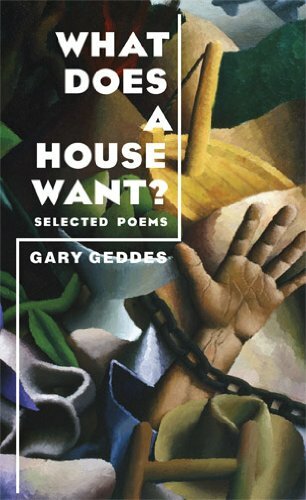 "affirms Gary Geddess place as one of the premier Canadian poets of his generation. Equally at home with the lyric and the long poem, Geddes brings his deadly accuracy in language and form and his no-holds-barred style to bear on multinationals, Israeli-Palestinian violence, the guilt of Leon Trotsky, P.O.W.s, assassins, mad-bombers, China s bloody Emperor Qin Shi Huang, and the reputation of Ezra Pound. Sandra Lee Scheuer, a lyric on the Kent State killings, has been described as the kind of poem most poets wait a lifetime for; and "The Terracotta Army," an award-winning sequence on politics and art, insists on the marriage of story and song, embracing narrative, yet achieving a rare and luminous lyric intensity."